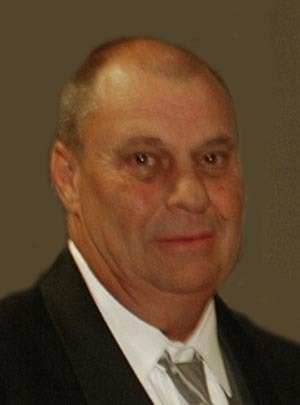 Delson L. “Del” Cox, age 70, of Aurora, passed away on Monday, January 9, 2017 at Grand Island Lakeview in Grand Island. A Memorial Service will be held 10:30 A.M., Saturday, January 28th at St. Mary’s Catholic Church in Aurora. Rev. Mike McDermott and Rev. Dhan Raj Marneni will officiate. Inurnment will be at the Aurora Cemetery at a later date. Visitation will be from 5 – 7 P.M. Friday, January 27th at Higby-McQuiston Mortuary, with a rosary following at 7 P.M. Condolences may be e-mailed to the family through the mortuary website at www.higbymortuary.com. Delson LeRoy Cox, the son of Richard and Rita (Bates) Cox, was born in Maywood, Nebraska on May 2, 1946 and passed away in Grand Island, Nebraska on January 9, 2017, at the age of 70. Delson was raised in Maywood and was a member of St. James Catholic Church in Curtis. He graduated from Maywood High School in 1964 where he played football and basketball. He was chosen All-State in football, and their basketball team played in the State tournaments in Lincoln two years. Following graduation, he attended and graduated in 1965 from Denver Automotive Institute in Denver, Colorado. After completing his schooling, Delson moved to Aurora, Nebraska to work as a mechanic at Stan Allen Motors and Jones Motor Company. In 1978, Delson moved to Arizona briefly before returning to Aurora and marrying Karen (Gustafson) Mohr on June 16, 1979 at Marquette. Delson returned to Stan Allen Motors, before going to work at Downtown Phillips 66 and then Hansen Oil Company. In 1990, Delson went to work for the Nebraska Department of Roads. He worked at the Aurora Public Schools before retiring due to his health. Delson enjoyed fishing and hunting all his life. He also liked woodworking, puzzles and paint-by-number projects, making several of these as keepsakes for family and friends. He was preceded in death by his parents; brother, Richard C. Cox; sister, Jeanie (Cox) Eisenhauer; brother-in-law, Bill Schnase and in-laws, Walter & Violet Gustafson. Those left to cherish his memory are his wife, Karen Cox of Aurora; three daughters, Rhonda (Steve Dwyer) Gentry of Highland Ranch, CO; Angie (Jerry) Kovarik of Alma, NE; and Cheri (Aaron) Sailors of Omaha. Grandchildren, Nick (Lynette) McMurtry, Amanda Massey, Jake Gentry, Nate Ulrich, Matt Ulrich and Eric Kovarik; sister, Mae Annette Schnase of Omaha; brother-in-law, Eldon (Val) Gustafson of Phillips; sisters-in-law, Donna Erlenbusch of Ashland, Connie Gustafson of Lincoln and Janice (Don) Kruse of Aurora; his beloved dog Ginger; and many nieces, nephews, cousins and friends.